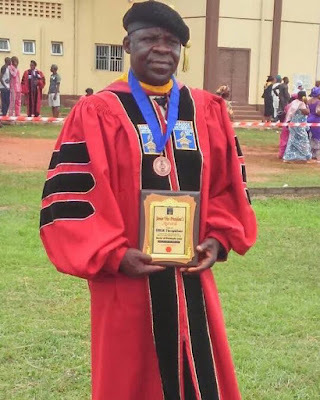 A young man identified as Olasunkanmi Jeffrey is the rave of the moment after graduating with a Double Degree: B.S in Electrical & Computer Engineering and B.A. in Economics. He graduated from the University of Rochester in New York with two degrees in four years. A big congrats to him!